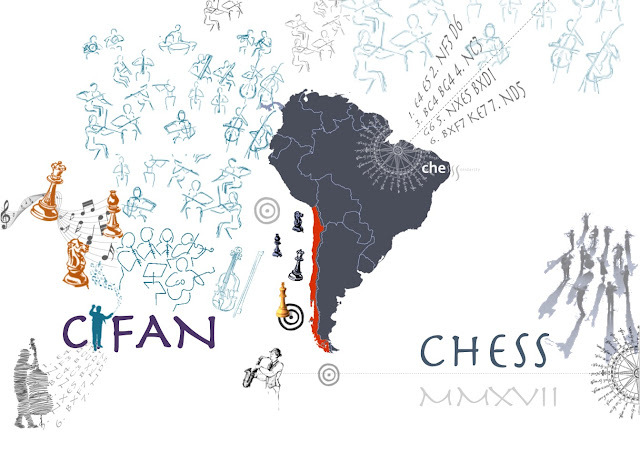 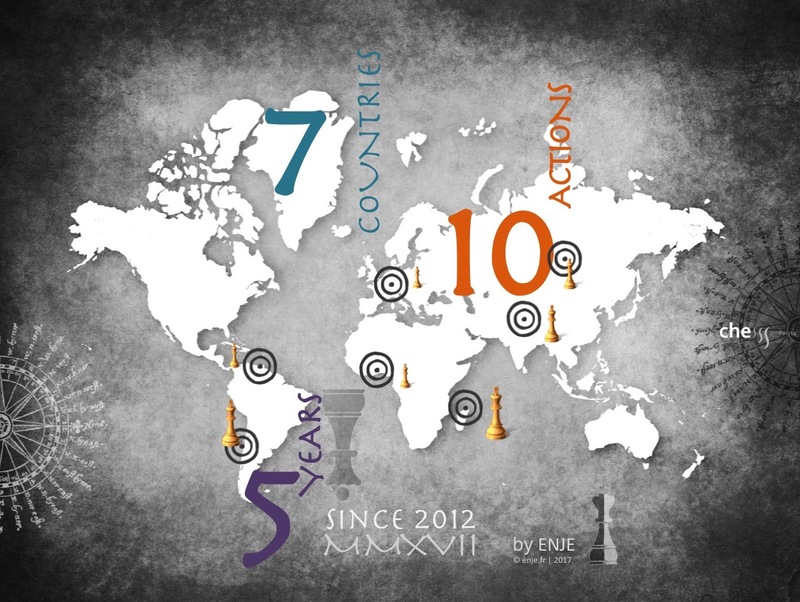 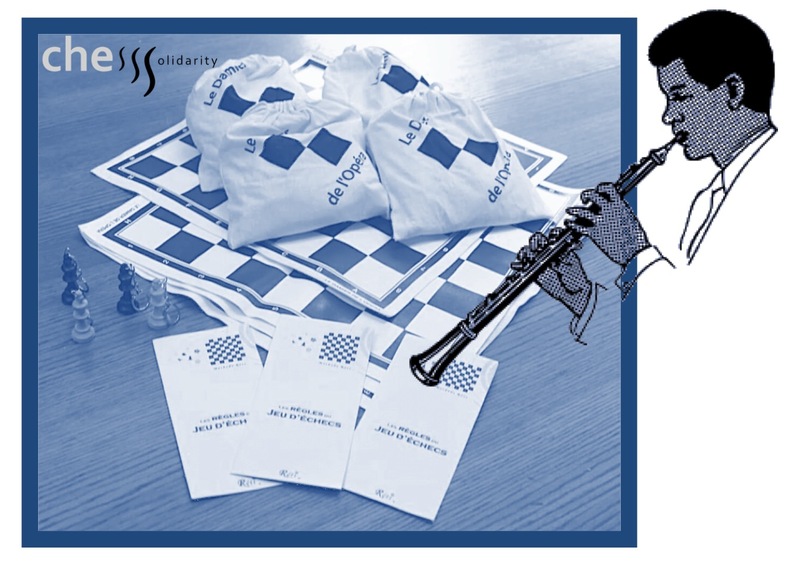 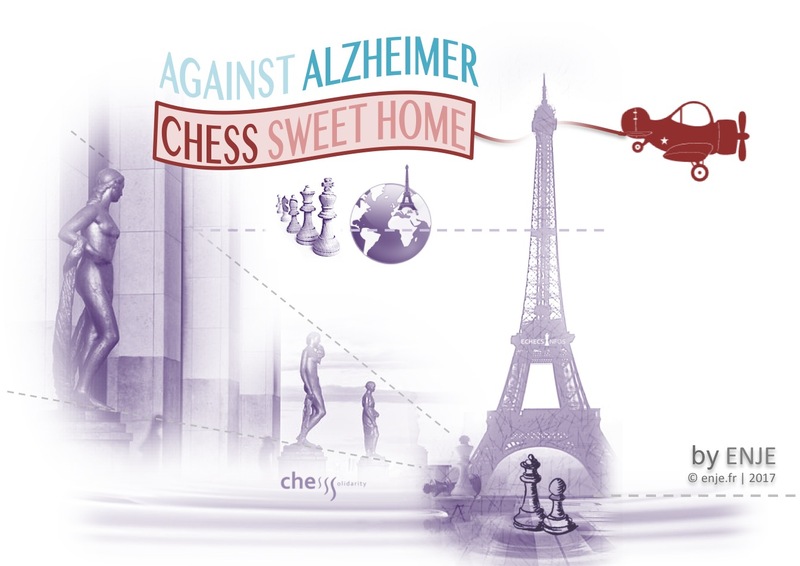 ChessSolidarity - 5th Birthday and 10 actions ! 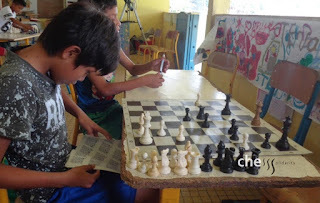 What about a chessgame while waiting for a music lesson ? CIFAN Foundation, located in Valdivia south of Santiago (Chili), is performing an orchestra with children from the street. The little money we send was helpful to buy an oboe. 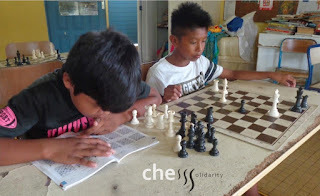 And chess games have started thanks to ChessSolidarity kits. 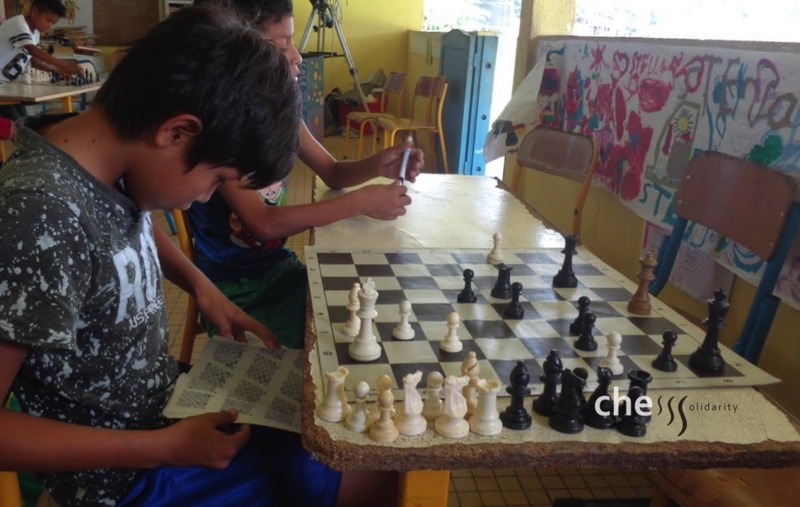 In the local chess club at Valdivia, the 14 year old Javiera Gomez got the GM title. 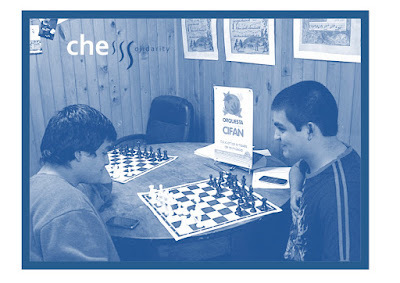 Now that CIFAN as chess sets the next dream would be to have a visit from her and why not a short lesson or simultaneous games ? 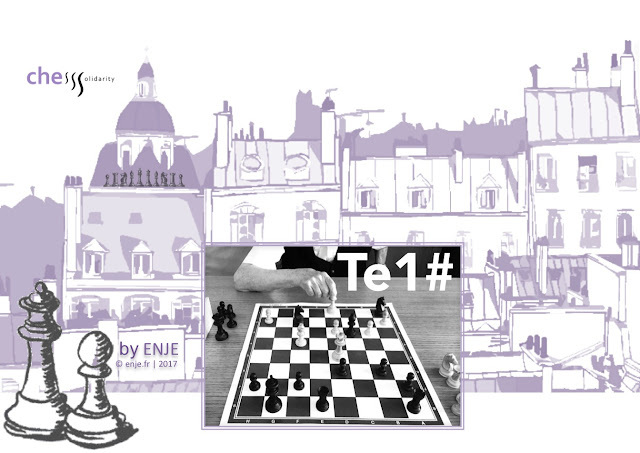 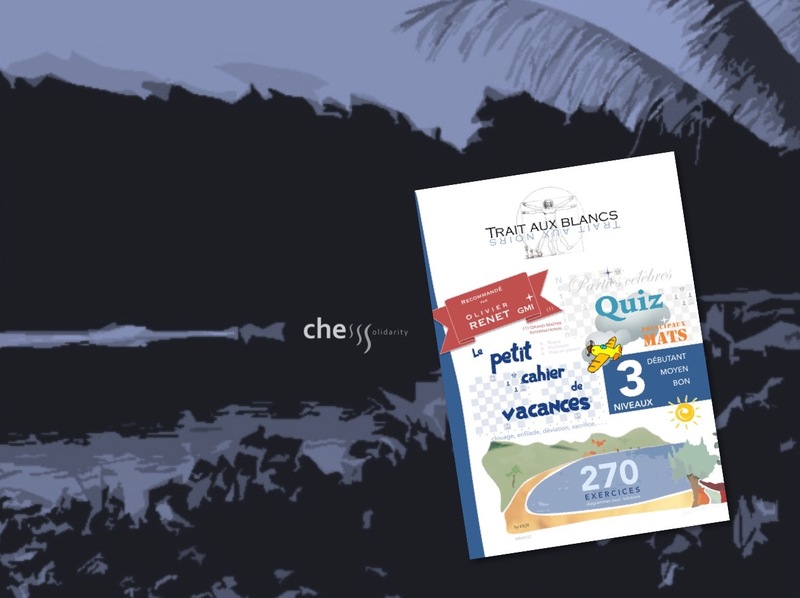 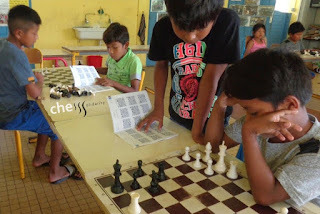 We are pleased to see that children from school of 3 Palétuviers in Guyana are concentrated on the chess puzzles that you can find in our little Holliday book for chess players. 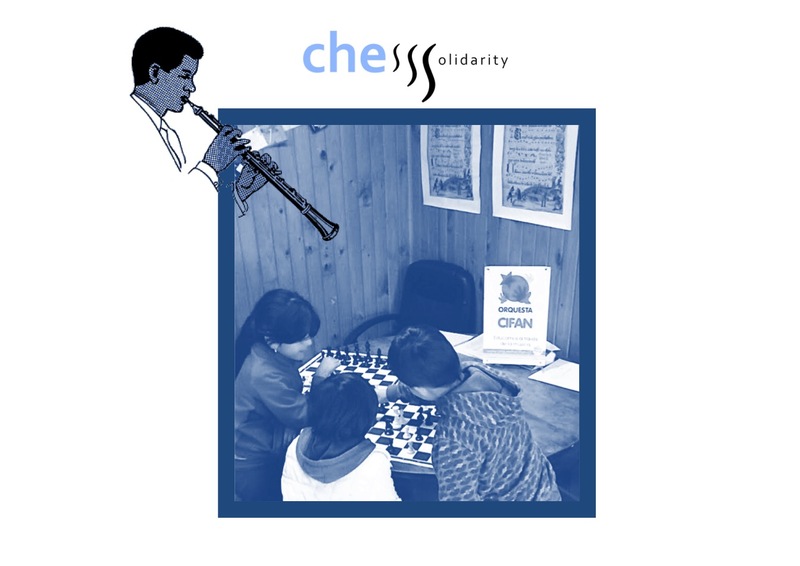 ChessSolidarity delivered 10 samples of our newly edited book and the President of French Chess Federation, Bachar Kouatly, as well as Olivier Renet -GM- kindly put an autograph on a sample offered to Daniel Baur (school director). 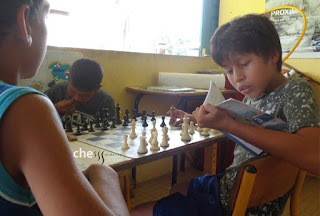 Have good hollidays boys !